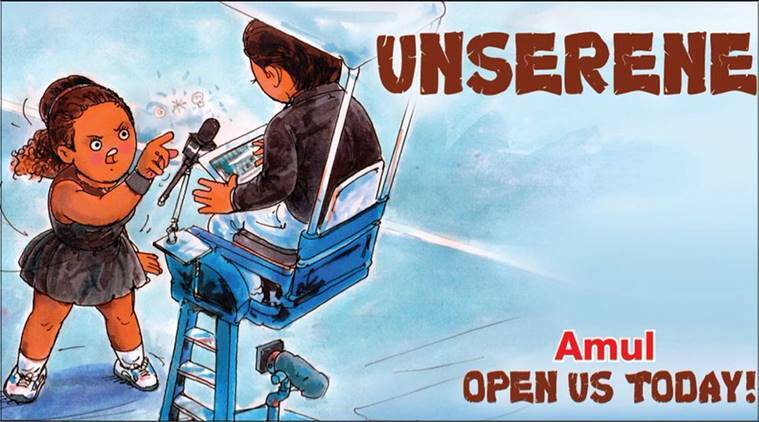 I’ve had a quick look at the events of the US Open and I am FULLY behind the excellent umpire who made sure that the match was played in accordance with the laws of tennis. Serena Williams is an experienced player and knows that players are supposed to follow rules. And to show some respect for the umpire. Serena’s claims that she was not being coached are FALSE. Only someone who regularly uses such coaching will be flustered in this manner, once she’s been caught. Shakespeare’s words might have been written precisely for such an event. 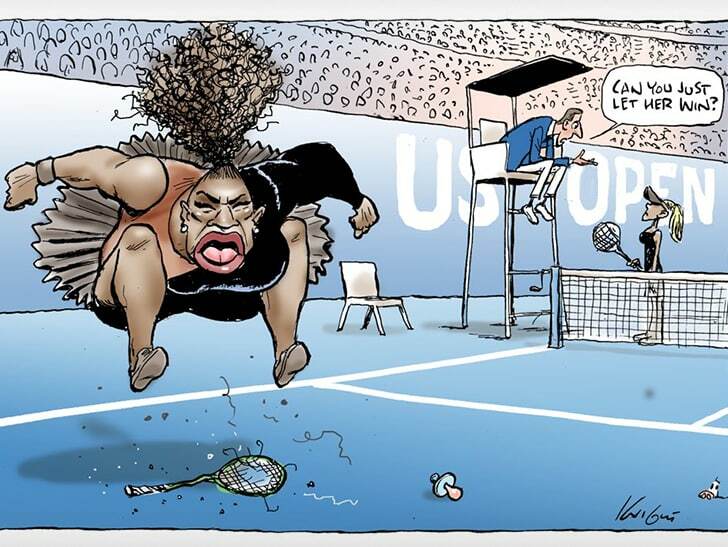 And I fully support the idea of free speech and that a cartoon has been made of Serena that shows her in poor light. She deserves to be shown in poor light. She brought it upon herself. I was not aware of her earlier foul encounters with judges and linespersons, but this event which caught international media showed that this was not a one-off event but a pattern. Sorry, there’s nothing to see here. Serena is a cheat. Serena is a great player but no role model.